The H3N8 strain actually originated in horses. The virus jumped from horses to dogs, becoming a canine influenza virus around 2004, when the first outbreaks affected racing Greyhounds at a track in Florida. H3N2, on the other hand, originated in Asia, where scientists believe it jumped from birds to dogs. H3N2 is the virus responsible for the 2015 and 2016 outbreaks of canine influenza in the Midwest and continues to spread throughout the United States. How Is Canine Influenza Spread? Like human forms of influenza, dog flu is airborne. Respiratory secretions escape into the environment in the form of coughing, barking, and sneezing, where they are then inhaled by a new canine host. The dog flu also spreads through contaminated objects and environments, like water bowls, collars, and kennel surfaces, or through contact with people who have had direct contact with an infected dog. Crowded areas like kennels, grooming parlors, day care centers, and dog parks are breeding grounds for diseases like canine influenza. The close proximity of the dogs means that a barking, coughing, or sneezing dog can easily infect canines around him. This is made more dangerous by the fact that dogs are most contagious during the incubation period before they start exhibiting symptoms. How Long Are Dogs Infected With Dog Flu Contagious? The incubation period of canine influenza is approximately 2-to-4 days from initial exposure to the dog flu virus. Viral shedding starts to decrease after the fourth day, but dogs with H3N8 remain contagious for up to 10 days after exposure, and dogs with H3N2 remain contagious for up to 26 days. Most vets recommend isolating dogs with H3N2 for at least 21 days to reduce the risk of transmission. Almost all dogs that come into contact with the disease will contract it, but not all dogs that become infected show symptoms of the virus. About 20-25 percent of dogs infected are asymptomatic, but these dogs can still spread the disease. 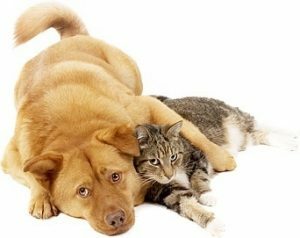 If one of your canine companions catches the flu, but the other seems unaffected, remember that he could still have the virus. Talk to your vet about quarantine procedures for all dogs in your household. Dog flu symptoms resemble kennel cough symptoms, which is also an illness you should talk to your veterinarian about as soon as you notice symptoms. Most cases of dog flu are mild, but severe cases do occur. In those instances, dogs develop pneumonia, difficulty breathing, and a high fever. Luckily, the mortality rate is relatively low, with less than 10 percent of dog flu cases resulting in fatalities. The canine influenza virus requires the attention of a veterinarian. In some states, vets are required to report cases of canine influenza to the government to help monitor the spread of the disease. There is no cure for dog flu. Treatment is supportive, and your veterinarian can advise you on the best ways to keep your dog comfortable during his illness and recovery. Some dogs may require supportive care, such as fluids, to aid their recovery, as well as nonsteroidal anti-inflammatory medications to reduce fevers. Your vet will help you come up with a nutritional plan and may prescribe antibiotics to treat secondary bacterial infections. Your vet will also inform you about appropriate quarantine procedures to prevent the spread of dog flu, depending on the strain of the virus your dog contracts, and can give you information about disinfectant solutions to use in your home to help kill the virus. Call your vet ahead of time to let her know that your dog is showing symptoms of a respiratory infection. Both kennel cough and dog flu are highly contagious, and your vet may request that you keep your dog outside until your appointment time to prevent the risk of transmission to other patients in the waiting room. The best way to prevent your dog from contracting dog flu is to keep him away from public places or kennels with recently reported cases. If you come into contact with a dog that you suspect has dog flu or has recently been exposed to it, wash your hands, arms, and clothing before touching your own dog. This will reduce the risk of transmission from you to your dog. There are vaccines available for both the H3N8 and H3N2 strains of canine influenza. Your vet may recommend the vaccine based on your lifestyle. For instance, if you live in an area with a high incidence of dog flu or if your dog regularly spends time in kennels or travels to shows around the country, then he could be at an increased risk of contracting canine influenza and your vet may recommend the vaccine as a precaution. Pet’s are such an important part of our lives. Losing a loved pet can be an emotional roller coaster. 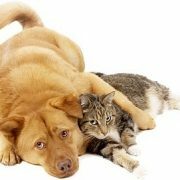 A client recently contacted me about the tremendous struggles that he had after his own pet had passed. He struggled to talk with other family members and didn’t know what to do. He looked through our web site for resources and went on to find more resources that he shared with us. I’ve included our links and links that he found at the bottom of this page. Sometimes I think of the movie Shadowlands with Anthony Hopkins and Deborah Winger because it involved losing a loved one. The movie is based on the true story of the author CS Lewis and his poet wife, Joy Gresham. It is a story about how joyful, meaningful, wonderful, and fulfilling love can be. By the end of the story, Joy Gresham dies of cancer and CS Lewis is left coping with such a tremendous loss. It’s been some time since I’ve watched it, but it left a big impression on me because there seemed to be a comforting message. Hopefully my interpretation is somewhat correct. What Anthony Hopkins (as CS Lewis, but with piercing blue eyes) says, is that the loss of a loved one hurts because there was so much ‘good’ there. I’m sure I’m not doing the film justice, but in other words; During the time you spend with a loved one, you are creating an emotional stockpile of ‘goodness’. It’s deep and rich, it is something more than just yourself, it’s lots of love and shared experiences. When that is lost, it is very hard. Its hard exactly because you had so much ‘good’. It wouldn’t hurt if you hadn’t been so fortunate as to have all those experiences, moments, and love. I don’t know if I’ve captured the meaning that I want to convey, but in our own family we have had to cope with the loss of loved pets. It leaves a deep ‘hole’ in our hearts for a time and it is hard to imagine moving forward, but time marches on – we want to honor our lost loved one and never forget them. We try to focus on the things that we’ve been thankful for during the pet’s life. More than anything, I think we want to remember the joy/comfort/love that we shared with them. Hopefully remembering those parts will remind and inspire us to know that joy, comfort, and love will be attainable again. To savor it when it comes our way and to share it with others when possible. It is important to say that we have tremendous compassion for our patients and clients but we are not able to evaluate human mental health issues and do not provide mental health counseling.